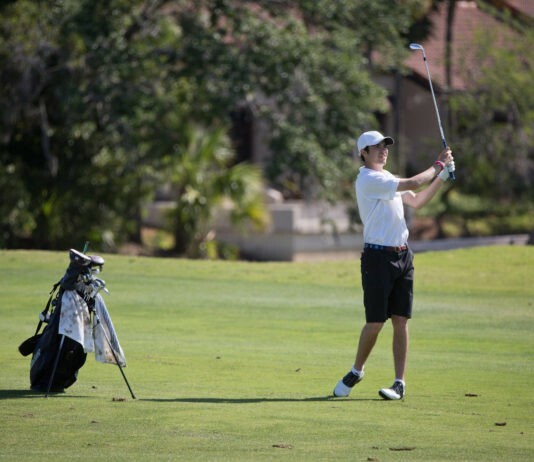 Sophomore Chris Francoeur tied for fourth in the URI invitational this past weekend. |Photo courtesy of GoRhody. 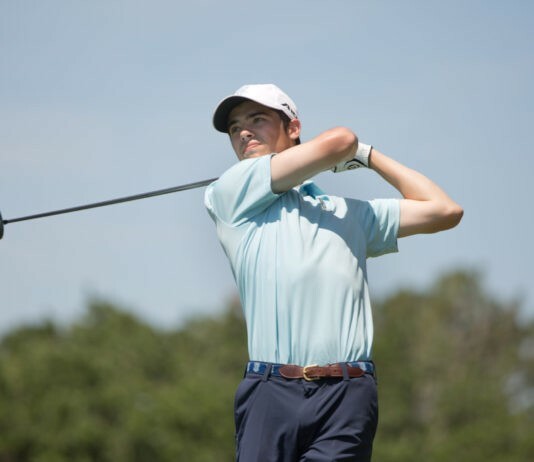 For the second time in four events, Rhode Island Men’s Golf won, taking home first place at the Rhode Island Invitational at Quidnessett Country Club. Sophomore Xavier Vargas gets ready to scoop the incoming ball as the runner dives head first into the bag. |Photo by Greg Clark. 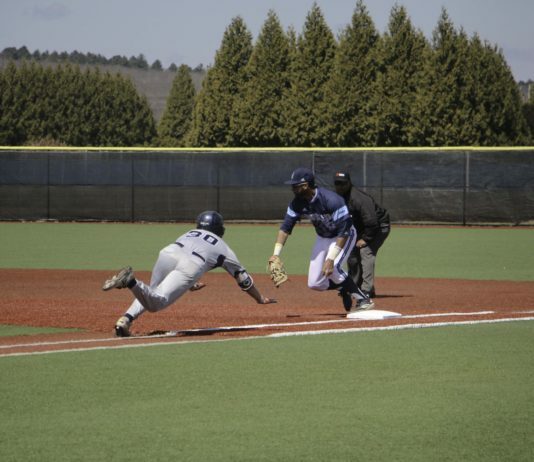 Rhode Island Rams baseball is the hottest they’ve been all season after a weekend sweep against the Richmond Spiders. 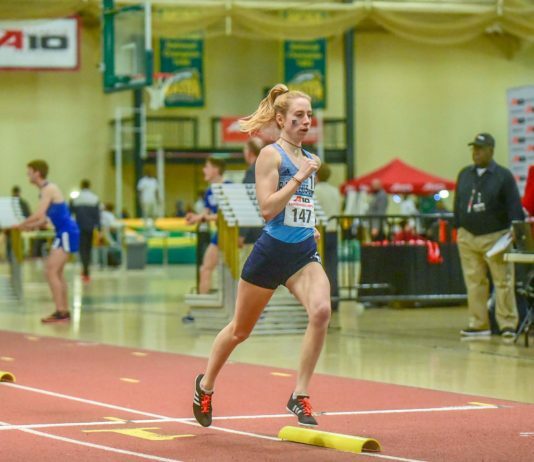 Junior Lotte Black competes in the Indoor Atlantic Ten Championships hosted by George Mason University. 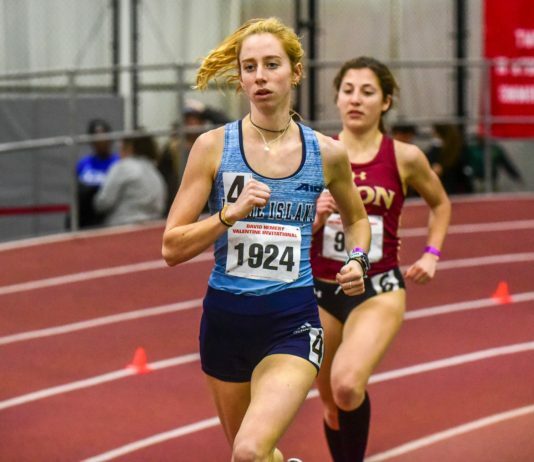 Photo courtesy of GoRhody.com Lotte Black, a student on the University Rhode Island Women’s Track and Field team has had a banner year thus far. The best time in the sports year is upon us. It’s March which means not only is the NBA and NHL ramping up getting ready for the playoffs, but the great yearly tradition of filling out a bracket (or 20) for the NCAA tournament is here.